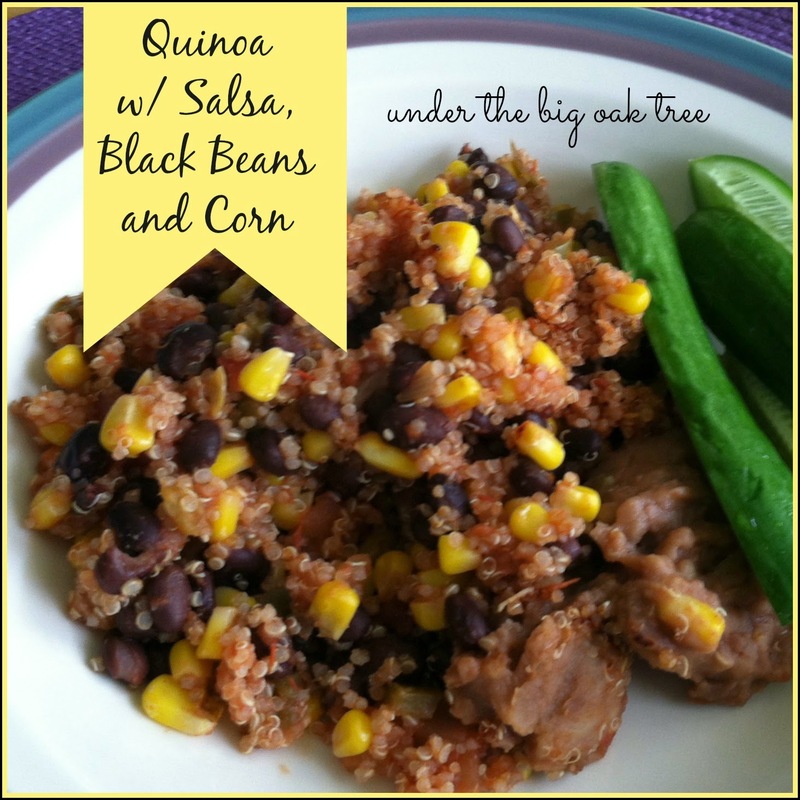 You may be noticing me featuring quinoa in a lot of recipes lately. That's because I'm loving it! I can't believe it's taken me this long to give it a try! Now I can't seem to get enough of it! Lately, I've been preparing 1 cup of quinoa according to the instructions on the package and keeping it in the fridge for quick meals. Since I also keep a bowl of rinsed black beans in the fridge, those two ingredients often meet up in the same recipe! combine all ingredients to a small pan and heat over medium heat until corn is thawed and all ingredients are heated through. Combine ingredients in a microwave safe dish. Cover and cook on HIGH for one minute. Stir, replace lid and cook on HIGH for another minute or two or until corn is thawed and all ingredients are heated through. Serve alongside some fat free refried beans or top with some fat free mozzarella cheese or fat free sour cream to keep this meal Weight Watchers Simply Filling. This is a great way to use up a bunch of leftover in the fridge.